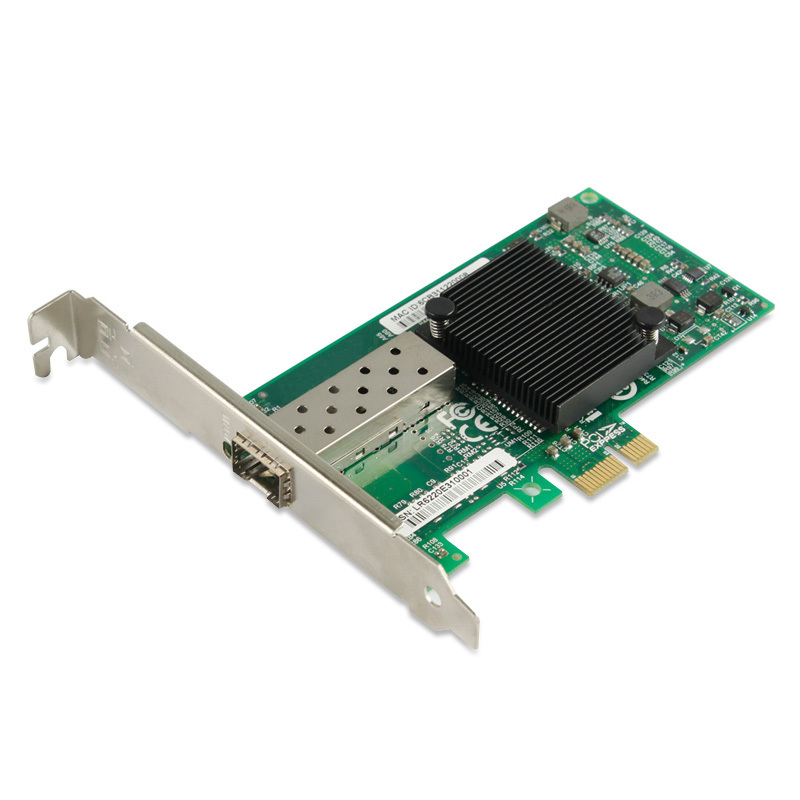 The Cablexa NIC-6220PF-SFP SFP port LAN card is a high performance PCI Express multifunction network adapter for either standard or low profile slots running over a fiber-optic network environment. Based on Intel 82575EB controller. It is a PCI Express x1 fiber nic for desktop. The Cablexa SFP Port Lan Card NIC-6220PF-SFP Gigabit Ethernet PCI Express adapters solution is designed for high-end appliances. The performance is optimized so that system I/O is not the bottleneck in high- performance networking applications. The NIC-6220PF-SFP SFP port lan card enables fault-tolerant via teaming. Traffic from the failed port is routed through up to seven other members of the team. Cablexa SFP Port Lan Card NIC-6220PF-SFP Gigabit Ethernet PCI Express adapters have an integrated hardware acceleration that performs TCP/UDP/IP checksum offload and TCP segmentation. The host processing offloads accelerators frees CPU for application processing. This NIC-6220PF-SFP SFP port LAN card is single SFP connector fiber adapter. It can be available to choose the MM or SM according to customers requirements. And The Intel 82575EB server controller,has the high performance,high stable,high quality and best compatible. It can compatible all the brand computers and fiber switches in market. It is the best solution for the high-performance FTTD applications.